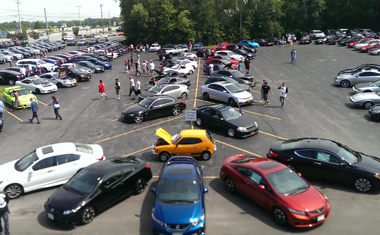 Thanks to everyone who came to our 1st Import Car Show on August 18th! We had over 87 cars on the lot, music by DJ E.T. and food by BBQ FREDs. See our Facebook page for more pictures. If you have any feedback on what you liked or what you would like to see next year please email Rhonda at the link below. Congratulations on an outstanding August! With 149,381 new vehicle sales the Honda division posted its 2nd best August results of all time, second and only to the Cash for Clunkers month in August of 2009. 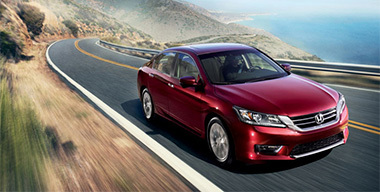 Civic and Accord sales led the way with 39,257 and 38,559 total sales respectively. This was also the best sales month for both Civic and Accord since August of 2009. CR-V posted a sales total of 34,654 which was more than enough to break the all-time record previously set in March 2012 of 30,068. Follow these 6 simple maintenance tips to prepare your car for fall and prevent a possible repair issue in the cold weather. We check all of these items when we perform the multi-point inspection as part of every oil change.Change your wiper blades – Wiper blades should be replaced every 6 months. 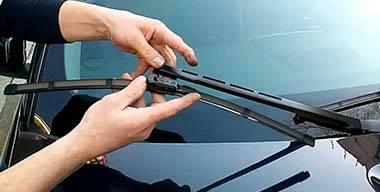 You generally use use your wipers more frequently in the fall and winter. Check your spare tire – Fall is a good time to check to ensure your spare tire is inflated properly. Tire pressure drops one pound per square inch for every 10-degree drop in temperature. Check and top off fluids – Top off windshield washer fluid as it is used more frequently in the fall and winter. Also check both your antifreeze and brake reservoirs. Replace the air filter – At a minimum, engine air filters should be checked twice per year as part of your car’s maintenance. Check battery and charging system – Many electrical issues and ignition problems stem from loose or corroded battery connections. Cold weather is also hard on the battery so be sure to have it checked as well. Check lights for safety reasons – Check that all exterior and interior lights work and headlights are aimed properly. $1,500 down plus tax, acquisition fee and DMV. 12,000 miles per year. 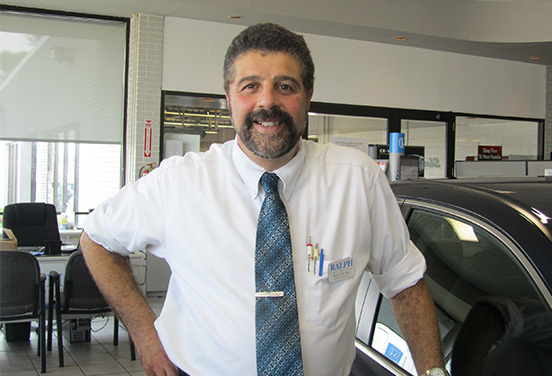 Steve has been with Ralph Honda for 16 years – almost half of his years in the Automotive business have been here. Steve is a graduate of Wemoco in Automotive Technology. Steve has always loved cars and began his career actually working on them and then moved on to actually writing up the cars when they come in for service. Steve has over 34 years of experience in the business and is the “go to guy” for any question a customer or fellow team member may have. He loves being able to advise customers on the best way to maintain their car so they get the most out of their vehicle and can keep it for as short or as long as they want.In Steve’s spare time you will find him tinkering with cars, cleaning his vehicles (no matter what the weather conditions are his cars are always spotless inside and out), working on home repairs or found at a car show. When he has time, he loves to show off his 1962 Corvette. The corvette looks like it came off the showroom floor and has won several awards over the years. 2014 Honda Odyssey First Minivan to Earn IIHS Top Safety Pick RatingTo be named a Top Safety Pick+, a vehicle must earn the top rating of Good in the moderate overlap front, side, rollover and rear impact tests, and at least Acceptable in the small overlap front test. IIHS gives ratings of Good, Acceptable, Marginal or Poor. No other minivans listed on the IIHS’ site, including the 2013 Chrysler Town & Country, Dodge Grand Caravan and Toyota Sienna, have gone through the small overlap front crash test yet. Our Collision Department is second to none!They can repair minor dents, dings, scratches or more severe damage. Our technicians/painter have over 96 years experience combined. They are ASE/ICAR certified. They can work on all makes and models. We offer rental cars, towing and repairs are guaranteed for life. Give TJ a call at 723-4878 to schedule for a free estimate. For more information on collision repairs or accident help click on the link below. We want to know what you think about our E-Newsletter!Let us know what you like, dislike or want to see more of. Just fill out this simple form so we can create the best newsletter for you.